Please note that the initial set-up will sync employees and their data from Xero to Deputy, so you will need to ensure that everything is correct in Xero to make the sync seamless. First, log into your Deputy account at once.deputy.com. Then head to your business and navigate to the Locations tab. Click 'Edit Settings' on the location you would like to connect to with Xero. 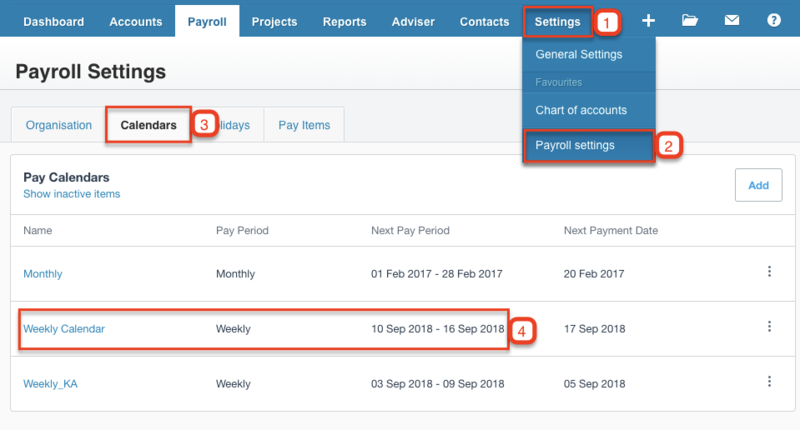 Head to the 'Payroll' tab, then click 'Connect to Xero'. Use your Xero credentials to log in. From here, you can select the organisation you would like to connect. After you’ve connected your Xero account, we can import/add employees from Xero into Deputy. To do this, head to the ‘People’ tab, click ‘Add People’, then in the drop-down box, select ‘Add/Import Multiple People’. First, select the Location that these employees work in, and in the ‘Import or Upload a file’ drop-down, select ‘Xero Payroll’. The ‘Name’ field will auto-fill based on the data pulled across from Xero. The email and phone number fields will auto-fill if applicable. When this is done, toggle whether those with email addresses will receive the Deputy invite email. After this, simply click ‘Add People’. If you have set-up your employees in Xero, syncing employees will use their email address and name to match the entries and add them to Deputy. To auto sync your employees, head to the Locations tab and click ‘Edit Settings’ on the location connected to Xero. Now navigate to the ‘Payroll’ tab. Now click the toggle under Xero to switch ‘Auto Sync Employee’ to ON. Remember to click ‘Save’ when you are done. Please note that employees may take up to several minutes to sync. Allow some time for the sync to complete. First, please note that Xero cannot export timesheets unless a valid calendar period exists. Export your timesheets first in Deputy, then approve the timesheets in Xero. Once you have done this, open a pay run within Xero. To export to Xero, ensure that you have timesheets to export. Navigate to the Export Timesheets page, select the timesheets you would like to export, then click 'Export Selected Items'. In the drop-down list, select Xero Payroll, then click 'Export'. Please note that Xero NZ currently only supports base rates and 1.5x multipliers, which pulls pay rates as it’s entered into Deputy. It’s important that you always add and edit your employee pay rates in Deputy. For more information about editing employee pay rates, visit our help doc.